The Maricopa High School boys’ basketball team took home the championship from Notre Dame Prep’s Give Thanks Classic last week. It was their very first tournament of the year. 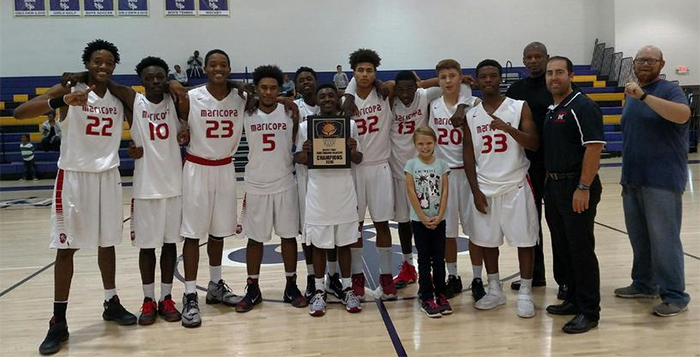 Three victories over the course of the Thanksgiving holiday tournament led to the trophy. The Rams took the Queen Creek Bulldogs 81-65 in their first match-up Nov. 21. They then went on to put on a strong defensive performance during their victory over the Fountain Hills Falcons by a similar margin of 70-53 on Nov. 23. Finally, Maricopa demonstrated offensive prowess in the championship game against the Hawks of Buckeye, though winning by a much tighter margin of 87-82 on Nov. 26. Junior Josh Johnson was named tournament MVP, shooting a remarkable 35 of 39 free throws combined for the tournament. “Not only did he do well on the free-throw line, but he showed solid leadership on the court, which helped controlled the game,” Coach Tony Fuller said. Fuller said the entire team contributed to the title, but there is always room for improvement. The Rams play their first home game tonight at 7 p.m. against Vista Grande. Thursday is also a home game, a rematch with Queen Creek. 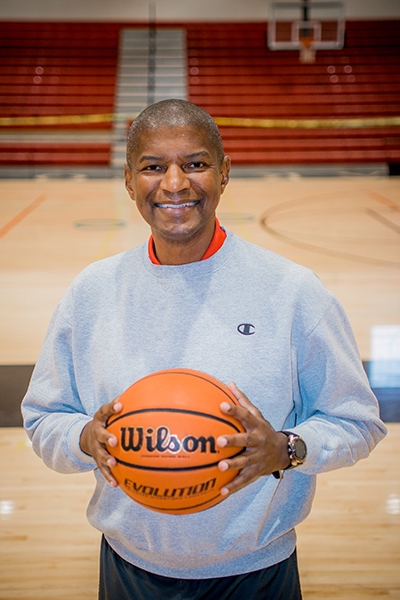 Learn more about Coach Fuller’s approach to the Maricopa Rams in his first season in the December issue of InMaricopa, which will be in mailboxes this week.